This is a guest post from George Bryant, New York Times best-selling author of The Paleo Kitchen and founder of CivilizedCavemanCooking.com. Pancakes, they were my favorite comfort food as a child and then turned into an enabling food for my bulimia. After overcoming my 12-year struggle with bulimia, I realized it was empowering to reintroduce some old comforts and eat them in a healthy space relating to food. After that realization, I dove right in to start creating the perfect Paleo Pancake that looked, tasted, and cooked just like traditional pancakes and we nailed it. This was my favorite recipe to retest a few times to make sure it was perfect. Honestly, it was always perfect but I wanted more reasons to photograph it again and of course eat them. Hi, I’m Fisher, at my heaviest I was about 275 pounds. From the beginning of my life I was always very active. I was always playing sports and my main discipline was martial arts, specifically Taekwondo and Tang Soo Do. Even after I graduated from college I was 150 pounds and a golf professional. Shortly after I began my career as a golf professional, I became very ill with pneumonia. I went from running three miles a day in 20 minutes and benching twice my weight, to not being able to walk five paces without collapsing. Even after my recovery from the pneumonia, my lungs were still far from working efficiently. I was on the shelf for years. During this time I was eating with no restrictions. Anything was okay, so I soon began to put on the pounds. One of my favorite events of the year is Paleo f(x), the world’s largest paleo gathering. 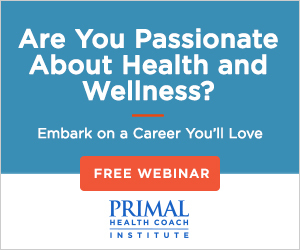 Folks from around the globe gather in downtown Austin to celebrate the ancestral health movement and learn from health and fitness pros who have dedicated their careers to promoting Paleo/Primal principles. I have had the honor of participating in past Paleo f(x) events, and I have the pleasure of doing so again this year, at Paleo f(x) 2015 from April 24-April 26th at the Palmer Events Center in Austin, Texas. By now, American exceptionalism is a universally-accepted truism. Like dogs over cats and Star Wars over Star Trek, it’s simple fact that America is qualitatively different than other nations. Some would say “superior,” but I think modesty is more becoming of a nation of our stature, providence, and history. Why else would extraterrestrials decide to land on the White House lawn, as they do in every culturally relevant piece of sci-fi, if we weren’t exceptional? Would American parents everywhere claim their kids were special if they actually were not? But perhaps the most conclusive evidence of our exceptionalism lies in how our nutritional labels relay information about sugar. If you go to a place like Germany or the UK and flip over a package of Haribo Goldbären (gummy bears), it’ll tell you how many percentage points the sugar in the candy counts toward your daily limit. Point being: everyone else has an upper limit for sugar consumption. But the US? We have no upper limit on sugar. And when it comes to added sugar, it’s a total free for all. It’s not even listed. Weight lost, muscle built, complexions cleared, even meds kicked. You know who you are. You’ve gone Primal and you’re better off for it. Now’s the time to share it! This means you have the opportunity to show the rest of the community who you are and what you’ve accomplished. In the process you’ll inspire thousands of people to take control of their health just as you have. I don’t know about you, but I get a kick out of that. So for today’s special contest I want to hear your story. Write it up and include a photo. Including both pre-Primal and post-Primal pics is even better, but not required. Don’t worry if you’re not a chiseled Adonis. This isn’t a “who’s the most ripped” contest. 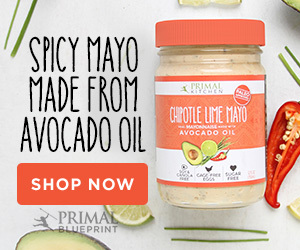 Whether you’ve lost 100 pounds over two years of Primal living or you’ve simply managed to kick that diet Coke habit, just tell me what going Primal has done for you. I’m looking for interesting and personal tales. Details about your health history, how you found MDA and the Primal Blueprint, what has worked and what hasn’t, what you eat, how you workout, what differences you’ve seen in how you look and feel, and anything else you think readers might be able to learn from and you’re open to sharing are welcome. It doesn’t have to be a thousand word diatribe, but hopefully more than a couple paragraphs. Feel free to be creative with your story format, too. Remember, good stories usually have a beginning, a middle, and an end, and honesty is king.